Five finalists have been announced for the Westmoreland Museum of American Art's expansion/renovation project. 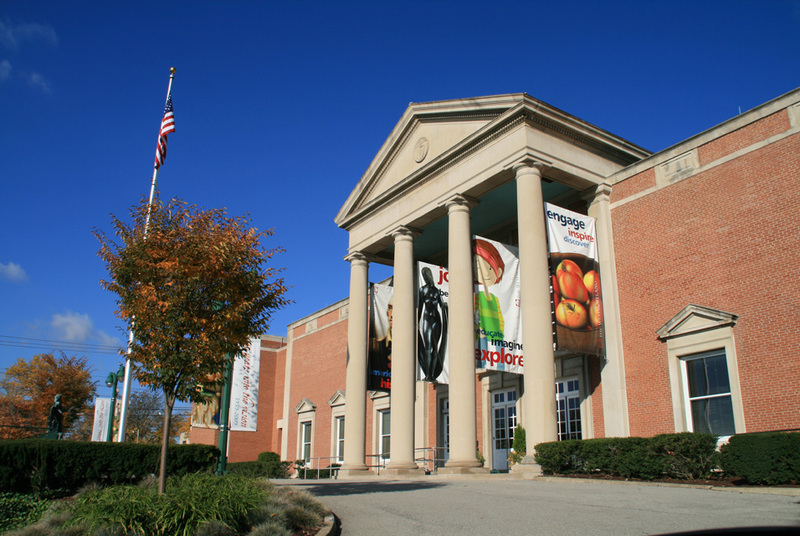 GREENSBURG, PA.- The Westmoreland Museum of American Art announced the five finalists for its expansion/renovation project. From a very strong field of 63 qualification submissions, these five architectural firms were selected for interviews by the Architectural Steering Committee (ASC). Representatives from all firms attended a site visit on March 16, 2011. Interviews will take place in mid-April. For the final selection phase, the ASC, headed by Museum Trustee, Harry A. Thompson II, will be expanded to include Rebecca Flora, former Executive Director, Green Building Alliance, Pittsburgh; Dr. Mitchell Kahan, Director and CEO, Akron Art Museum; and Lynda Waggoner, Director, Fallingwater. The ASC will announce the final selection of an architect in April/May of 2011. · University of Michigan Art Museum, similar to the Westmoreland as it was an expansion and a renovation, with similar goals: to raise awareness of the institution locally and nationally, create a more open and accessible building, and provide beautiful new spaces for the exhibition of the collection. This project received an AIA 2011 National honor Award, in addition to others. · The Museum of Arts and Design in New York City, an adaptive reuse of a building at an important site on Columbus Circle at the edge of Central Park. · In 2007, the major expansion of the Seattle Art Museum in a tight urban setting at the edge of Seattles high-rise district. Brad Cloepfil was recently named 2011 Faces to Watch: Arts by the Los Angeles Times architecture critic Christopher Hawthorne. · Addison Gallery of American Art, Phillips Academy in Andover Massachusetts: The challenge was to place a substantial addition into a small site located in a very prominent location at the entrance to the campus, and placing a forward-thinking architectural expression alongside an existing building similar in design to the Westmoreland. · Florence Griswold Museum, Old Lyme Connecticut: An innovative new wing connected to a wood frame house fronting the river. · Two major expansions of the Norton Simon Museum of Art in West Palm Beach Florida, doubling the size of the museum. The three story interior lobby and stairway are prominent features organic in form, referencing the ocean. In 1998 Centerbrook received the American Institute of Architects highest award, the architecture Firm Award. · Brooklyn Museum expansions that have taken place over the course of three decades, balancing old and new while defining a new architectural identity and preserving this one-hundred-year old landmark structure. · Smith College Brown Fine Arts Center occupies a pivotal site on the campus, physically and metaphorically bridging the divide between the neighboring community and the college; similar to the role the Westmoreland plays bridging downtown on one side and a residential neighborhood on the other. · Asheville Art Museum: This in-progress project doubles the size of the museum, with an addition carefully balancing the old and the new. This project is similar in scale to the Westmoreland. In the firms history they have received eleven AIA National Honor Awards, five of which have been for museums, in addition to numerous national, state and local awards for design excellence. · Laird Norton Addition at the Winona County History Museum: Located in a downtown historic district the contemporary addition celebrates the historic Armory in the use of materials, scale and detail, and reinforces the urban street edge. · University of Alaska Museum of the North in Fairbanks, Alaska: The architects drew inspiration from the landscape near the Arctic Circle, the culture and environment, noting the play of ice, snow, sky and mountains and developed a stunning architectural statement. · Bigelow Chapel United Theological Seminary, New Brighton, Minnesota: Innovative use of materials including translucent curving wood panels, that creates a warm, intimate and light filled space. The University of Alaska project won the 2008 The Chicago Athenaeum Museum of Architecture and Design Honor Award and Bigelow Chapel won the national 2006 AIA Honor Award for Architecture. · Grand Rapids Art Museum, Michigan: This museum is a landmark in an urban space downtown, and was the first museum in the world to be LEED Gold. · The Art Institute of Chicago: With eight distinct gallery projects over five years, wHY has thoughtfully integrated and expanded gallery spaces that meet the needs of the collection, curators and museum visitors. Located in Culver City, California, wHY is a collaborative workshop for creativity in architecture and design. All three partners of the firm will be working on the Westmoreland project.